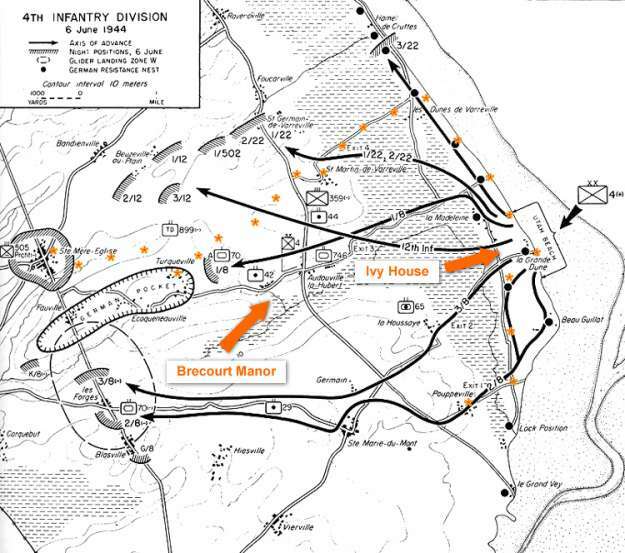 The Brecourt Manor assault, depicted in the hit television series Band of Brothers, witnessed fierce fighting on D-Day. The battle that took place here can be seen in the second episode, “The Day of Days”. At the time of the allied invasion of Normandy in June 1944, a German battery was stationed here which comprised of four 105mm Howitzers. Once the allied landings commenced, this battery disrupted the unloading of men and supplies by shelling exit 2 leading off Utah Beach. Exit 2 runs from the beach to the village of Sainte Marie Du Mont. To ease the problems faced by the allies, 1st Lieutenant Richard Winters and his men from Easy Company were tasked with destroying this artillery position. The four Howitzers at the Brecourt Manor farm were well positioned, linked by trenches and covered by machine guns. The trenches made supplying and reinforcing the artillery positions very easy; however, during the battle, this proved to be it’s weakness. The assault on the artillery position was a complete success with limited men killed or injured. All four Howitzers were disabled, making the allied landings at Utah Beach all the more easier. 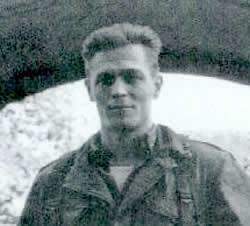 For the success of the attack at Brecourt, Richard Winters was awarded the Distinguished Service Cross Medal. By the end of the war, Winters achieved the rank of Major; a true testament to his character and ability. In 2008, a monument was erected at close to the battlefield site to pay homage to the brave men of Easy Company who lost there lives during Operation Overlord. Thanks to the series Band of Brothers, this area of Normandy attracts thousands of visitors each year; following the footsteps of the brave men of Easy Company and the 101st Airborne. 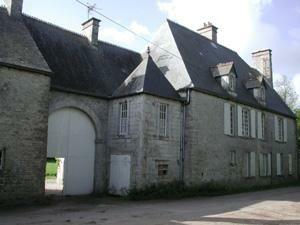 Ivy House is only five minutes drive from Sainte Marie Du Mont and the battlefield sites. Our location is absolutely perfect for fans of the hit television show. Many of our guests choose to stay at our home due to our close proximity to the Easy Company battlefield sites.